Brianna Bighorse was searching for guidance. What she found on the softball field was a family bond and a base path to outrun a bad reputation. An angry kid with a rap sheet a mile long and a reputation for fighting. A homecoming queen with a 3.9 GPA and a desire to mentor underclassmen. In most stories, these would be two different characters – the hero and the adversary. But in this story, the polarizing profiles describe the same individual. When she entered high school, Brianna Bighorse was looking for a way to let go of the anger and frustration that hand been holding her back. She found her escape on a softball field built and maintained by Fields & Futures. I was going down a very wrong path and searching for guidance. I found it here. 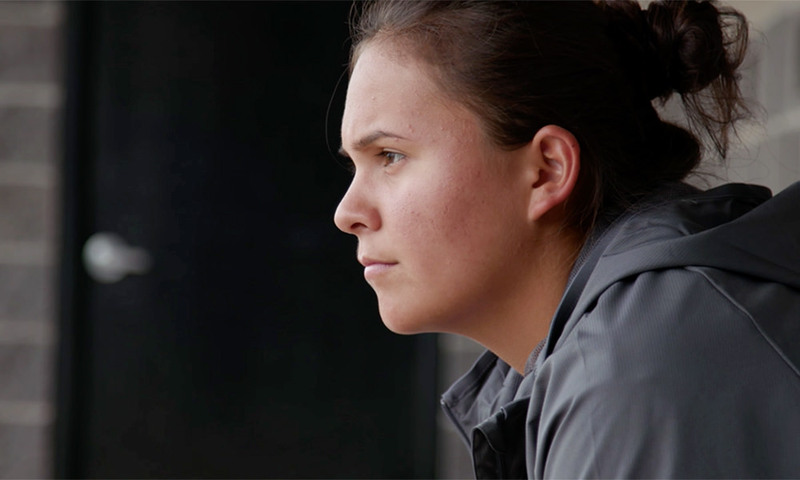 Coach Cindy George was well aware of Brianna’s rep, but she had seen the power of sports change lives before. So she stepped in and matter-of-factly told Brianna that she had to clean up her act if she wanted to play sports. Just a few short years later, Brianna has gone from one extreme to the other. I have seen sports change lives. As a coach, it changes your life too. Not because of the sport, because of the kid. No longer is she known as the biggest, baddest kid in the group. Today, people recognize her as the homecoming queen. A transformation she attributes to the coach who believed in her and the field that gave her a family. There, and on the many other playing fields rehabilitated and maintained by Fields & Futures, young men and women are able to learn invaluable life lessons and receive the guidance, mentorship, and positive influences missing from their own stories. To learn more and find out how you can help, please visit FieldsandFutures.org or email info@fieldsandfutures.org.